“Faith of our Fathers” is a series from The Humanist Lens authored by Jens Zimmermann, Canada Research Chair in Interpretation, Religion and Culture. The goal of the series is to emphasize the importance of understanding the church fathers for contemporary Christians of all stripes–especially when it comes to the difficult task of biblical interpretation. Even beyond Christians, this series could be of interest to anyone curious about the religious foundations of Western culture. The following is a reflection on Irenaeus’ text, On the Apostolic Preaching. 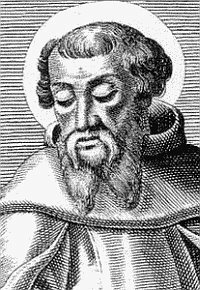 For Irenaeus, the word “faith” comprises both a dynamic, living reality and the doctrinal content that describes this reality. What the Christian has faith in is as important as experiencing a real connection with who God is through Christ and the Spirit. According to Irenaeus, This baptismal formula contains the main pillars of the Christian faith. The first pillar, (we will look at the others in subsequent posts) concerns the character of God. Who is the Christian God? We miss the ancient cultural context if we don’t see that Irenaeus upholds the Jewish Old Testament creator God, “who has created and fashioned all things, who made that which was not to be, who contains all and is uncontainable.” This God is himself “uncreated, invisible, Creator of all, above whom there is no other God, and after whom there are no other Gods.” This is standard Hebrew religious language that excludes nature worship, polytheism, or any sense of an eternal universe. Ireneaus thus represents an important stage in the formation of Christian belief: his emphasis on God’s freedom and the contingency of creation are already a conscious polemic against Gnostic and Neo-Platonic claims that matter is eternal and that God is merely a demiurge who created according to pre-given pattern. Irenaeus claims to the contrary that God is utterly sovereign because he created everything and is not dependent on his creation (42-43). Irenaeus’s theology is thus an important stage in the emergence of the Christian affirmation that God created ex nihilo, from nothing. For example, Philo of Alexandria, or even Justin Martyr, along with the Jewish tradition, had no problem with affirming that God created from pre-existent matter. It wasn’t until Christians had to confront Gnosticism, and until they wanted to give a more philosophical expression of Christianity, that the ex nihilo conception became a doctrinal affirmation of God’s sovereignty and creation’s utter contingency as a gift of God. Still staying in the Old Testament, Irenaeus explains that this God is also “verbal” (Logikos), creating all things by his Word, and God is also Spirit. The possible scriptural reference (given the similar wording, at least, in the Greek translation of the Hebrew Scriptures, the Septuagint) is Psalm 32:6. Of course, Irenaeus already reads this Psalm through a Christological and Trinitarian lens, but it is important to observe that he intentionally presents the Christian faith as a continuation of the God of Israel. That God works in the world through his Word and Wisdom is, after all, a well-established theme in the Hebrew scriptures. Irenaeus then fills out the picture of the Hebrew God by claiming his Trinitarian nature as Father, Son and Spirit. He reads Paul’s phrase “One God, the Father, who is above all, and through all, and in us all” in Trinitarian fashion as saying, “’above all’ is the Father, and ‘through all’ is the Word—since through Him everything was made by the Father—while ‘in us all’ is the Spirit, who cries ‘Abba Father,’ and forms man to the likeness of God” (43). Irenaeus’ conviction that the Spirit forms man “to the likeness of God,” already introduces a characteristic view on the nature and purpose of human beings that is based on a distinction between the image of God and the likeness of God. The former everyone has by virtue of creation, the latter is what has to be regained after the fall and perfected with the help of the Spirit, and through the gift of rebirth.